In a small skillet heat oil to medium high and saute onion and garlic until fragrant and softened. Drain off oil and toss with lemon juice. In a lightly greased baking dish arrange chicken pieces in a single layer. 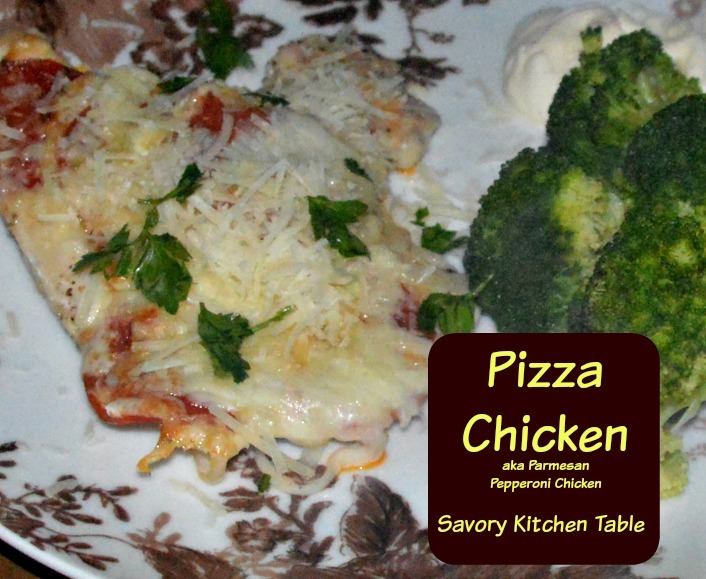 Remove from oven, uncover and layer pepperoni in a single layer over chicken pieces. Top with onion garlic mixture. Top with mozzarella cheese and return to oven uncovered for another 15 minutes or until chicken is cooked through. Top with Parmesan, oregano and parsley.